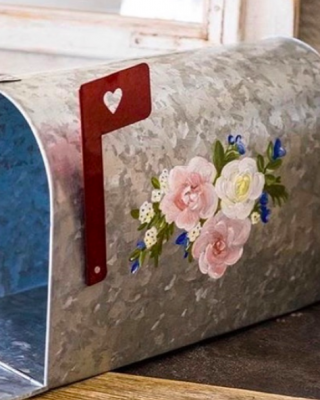 I adore the idea of using stamps at your wedding! Stamps are super versatile, and you can use them with almost anything. 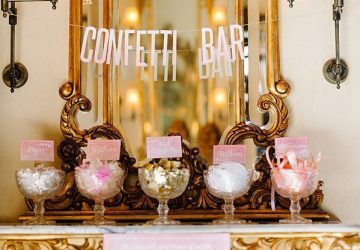 They add a fab DIY touch and can be wonderfully personal to you and your partner. 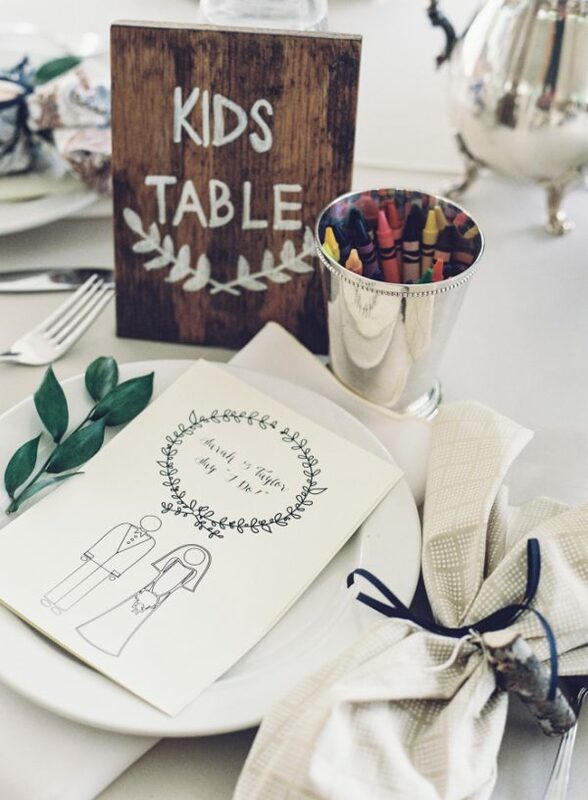 If you’re having a kids table at your wedding or even if they’re sat with the adults, it’s always worth proving fun goody bags to keep the children entertained. Stamps are an essential when it comes to goody bags! Provide a few different shapes that the children will love, and some plain paper and of course, stamp ink. 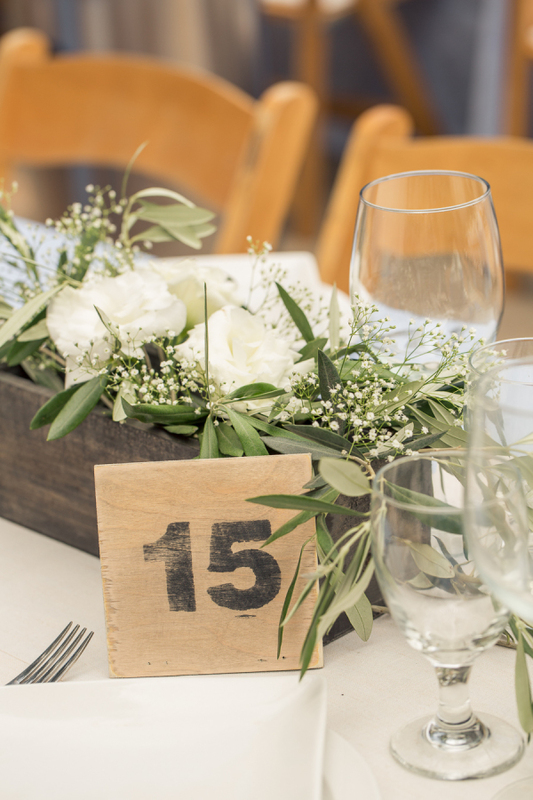 Show your guests to their seats in style with cute stamp table numbers. You could use numbers or even letters of the alphabet. 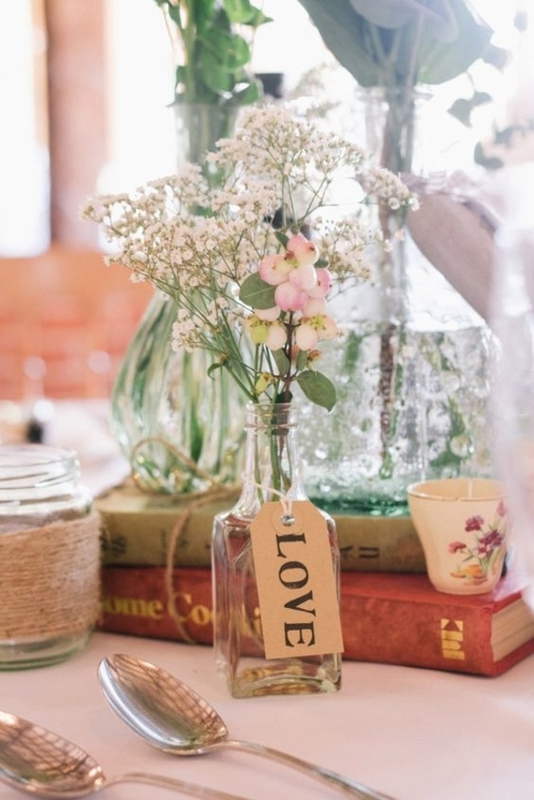 Stamp onto rustic brown paper and place on a vintage stand, or wrap it around a jar full of pretty blooms. Looking for something extra simple? Stamp numbers onto a square piece of wood – it’s all you need and it’s also budget-friendly. 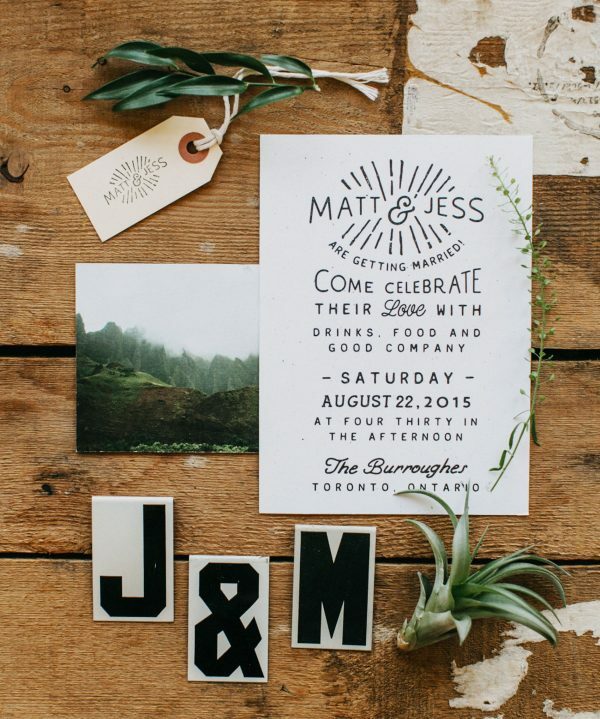 Kick-start your stamp wedding theme with your save the dates. A small brown card or even a rustic luggage tag will look fab with a save-the-date stamp. Hand-write the details on the back, or source a bespoke stamp with all the information. 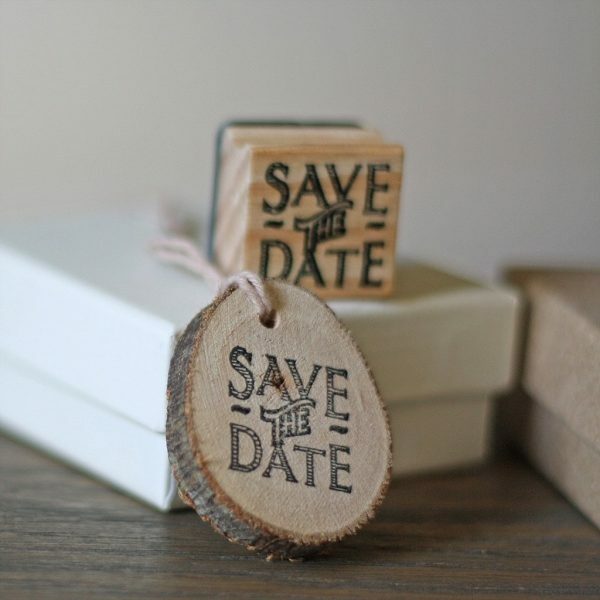 Our save the date stamp can be used on anything from gift tags to pieces of wood! 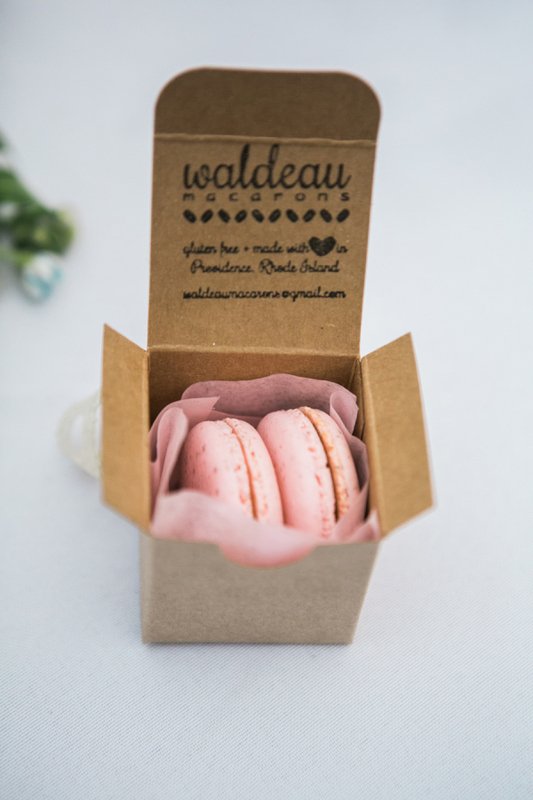 Wedding favours can be difficult to choose, but add a personal stamp to them and your guests are guaranteed to smile. If you’ve got a box of yummy treats such as mints, why not stamp a little message on the top of the box – ‘MINT TO BE’ is always a popular choice! 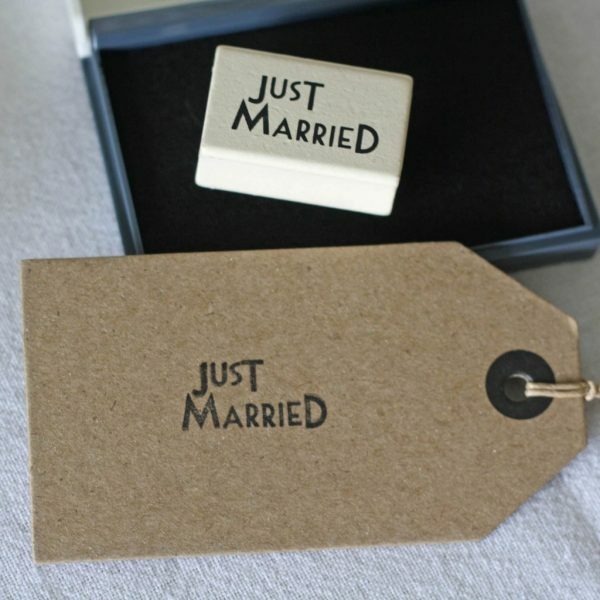 Alternatively add a luggage tag to your favours, with your names and date of your wedding on each stamp. 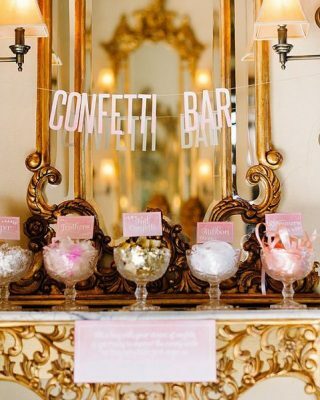 This just adds an extra special touch that will be completely unique to your special day! 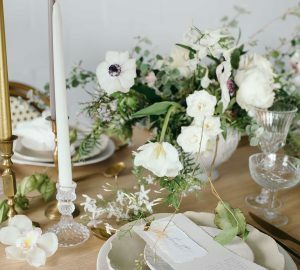 Your wedding table centrepieces should be the focal point of your table, so you want to be sure they’re fabulous! 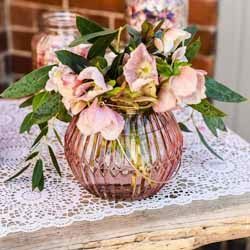 There are so many different ways you can use stamps as part of your centrepieces, so there is something for every wedding style out there. 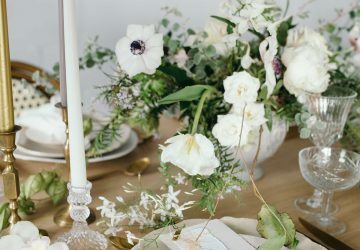 Planning a rustic affair? Then why not opt for a wooden crate full of beautiful flowers? You could use larger stamps to print out your wedding table numbers or ‘Mr and Mrs’ onto the side of each crate. 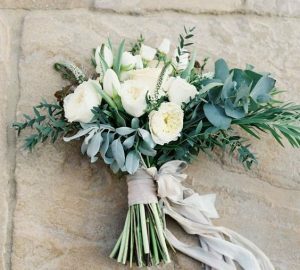 For a country garden inspired wedding, a little plant pot in the middle of each table will look lovely with ‘LOVE’ stamped onto the front. 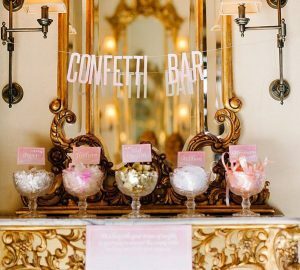 You can easily use a personalised stamp as your wedding trademark, and your guests will love seeing it used throughout your wedding day. 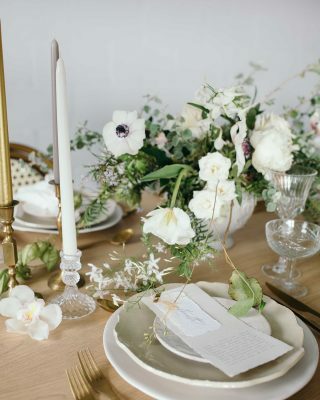 Use the initial stamp on the envelopes of your invites, and then use them on your wedding program and even signs! 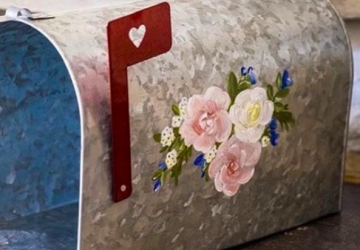 Love the thought of using stamps at your wedding? Then visit our fab wedding stamp collection!